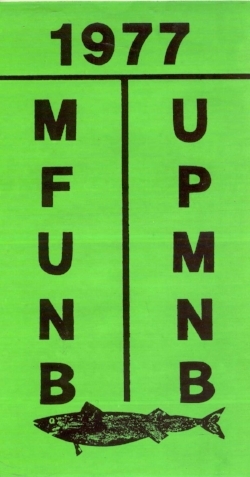 The MFU was founded on March 20th 1977 in Baie-Sainte-Anne. After many years of discussing fishing matters within small local associations, fish harvesters of New Brunswick decided it was time to establish a larger unified voice on the many issues related to the fishery and to their livelihoods. The MFU is accredited under Provincial legislation in both Provinces. The MFU currently represents 1300 independent small boat owner – operator fishers from the Atlantic Canadian Provinces of New-Brunswick and Nova-Scotia living in hundreds of small rural communities of the Atlantic Coast. MFU Fish harvesters depend on the wide variety of marine species to support their families, such as : lobster, herring, snow crab, mackerel, scallops, tuna, halibut, etc.